RSS stands for “Really Simple Syndication”.It is an XML data file. It is an automatically generated by most of the publishing platforms like Blogger, WordPress. Some websites use their own systems to generate own RSS Feed. But there is no guarantee that every website you visit will have an RSS Feed. If you want to check whether a website has RSS Feed available install simple chrome extension called “RSS Subscription Extension” by Google. The best part of the RSS Feed is, You can gather all the information from different websites you interested into, without having to go and visit them each time and even without giving any names and emails to them to subscribe their news letters. If you are an RSS feed reader, just create an account and post the feed URL of any post you want to subscribe. Most of the time you will get the feed URL when you enter the main site URL. My favorite RSS feed is Feedly. Because It has a web-based interface, Android, Ios App. It is very easy to use and more convenient. This is the best way to subscribe you are interested in. RSS feed has no direct impact on your sites SERP ranking. RSS feed only will help to search engines to index content of your sites faster. RSS feed will help you to bring more repeated visitors, Which will increase site engagement matrix in google analytics. RSS feed may help you to get free backlinks from other websites. These are the best advantages does RSS Feed has. If you use RSS feed correctly you can get more traffic and you reach a wider audience. So, let’s check best RSS Feed Submission sites. If you found this post useful, Please share it with your friends on social media like Facebook, Twitter, google plus. 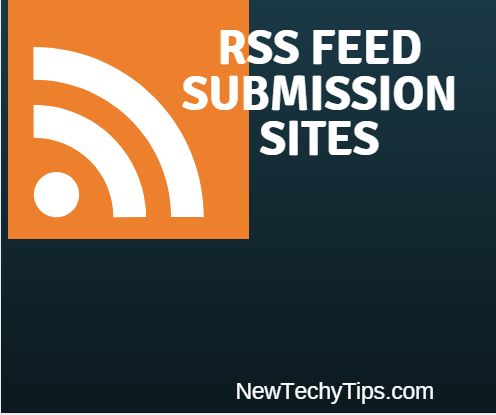 And don’t forget to mention your thoughts on this RSS Feed submission sites post. I would love to hear your comments, Also feel free to share if you have any other RSS Feed submission sites.